Cloud storage is convenient, but you can remove any concerns about security or other issues with a few adjustments. To help you get around these problems, I’m going to offer ways around the cloud. I’ll also discuss making the cloud more secure. First, you can use a program such as Allway Sync to synchronize your files between the internal and external drives. When you move from one location to another, you plug in the external drive, run Allway Sync, and do the update. When you’re ready to move to the other computer, you sync them again. The free version is sufficient, but only available for personal use. The Pro version is reasonably priced—about $50 for two computers. The other option is to keep the external drive connected to your PC, and access and edit the files from there. You don’t need to sync because your files remain on the same drive. But this can be horribly slow, especially if you don’t have USB 3.0 on both PCs. You can even assign folders on the external drive to your Windows libraries. Just don’t use the same external drive for backup and storage. Network-attached storage (NAS): Basically, this is a device containing one or more hard drives, attached to your router so that you can access the files on any computer on your local network. How does that help when you’re miles away from that router? 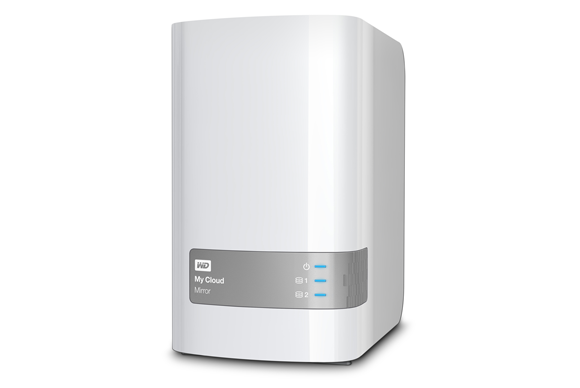 Most of today’s NAS systems, such as the WD My Cloud Mirror, can provide a private cloud. You, and only you, can access the files on your NAS via an encrypted Internet connection. Encrypt locally: You don’t know with whom Dropbox, Microsoft, and Google will share your files. But if the files are encrypted before you upload them, they can’t share much. There are a number of ways to do this. My preference: I store my sensitive files in a VeraCrypt container.